Nelms is chairman of the board of directors and CEO of Discover. He is responsible for all Discover-branded financial services, including credit cards, student loans, personal loans, home equity loans, CDs, money market accounts, and checking accounts. He is also responsible for the Discover Network, a comprehensive payments network that supports multiple card products, issuers and processors; PULSE, one of the nation’s leading PIN debit networks; and Diners Club International, a global payments network. 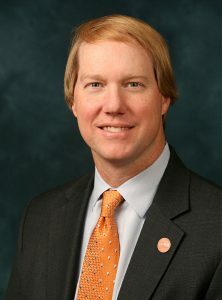 In addition, Mr. Nelms serves as Chairman of Discover Bank, the issuing bank for the Discover card brands. Before his appointment at Discover in 1998, Mr. Nelms served as a vice chairman of MBNA America Bank. Prior to that, he held management positions at Progressive Insurance, General Electric Company, and Bain & Company Consulting. Mr. Nelms holds a bachelor’s degree in mechanical engineering from the University of Florida and an M.B.A. from the Harvard Business School. In addition to his responsibilities with Discover, he is a member of the boards of directors of CDW Corporation, the Federal Reserve Bank of Chicago, and The Executives’ Club of Chicago. Mr. Nelms is a board member of Junior Achievement of Chicago, the Financial Services Roundtable, and a member of the Civic Committee of The Commercial Club of Chicago.